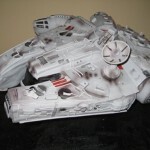 They had to chop away nearly the whole damn ship to do it, but this Millenium Falcon actually flies. And since almost the entire ship is gone, you won’t be smuggling any contraband. We still dig it though. 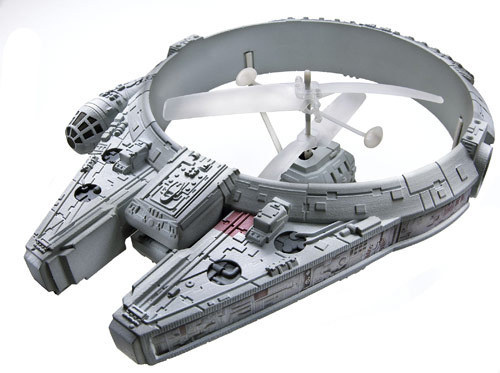 This 11 by 8-inch Millennium Falcon was released at Toy Fair this year. 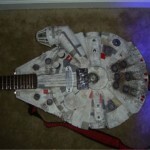 It’s a must have for any Star Wars fan. 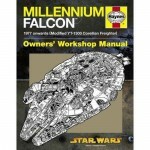 The remote-controlled Falcon even comes with a charging controller for the price of $50. And it’s totally easy for any Stormtrooper to disable this bird when it flies away. Just pew pew pew to that fan in the center.